Come see us at the 2014 Baltimore Book Festival! 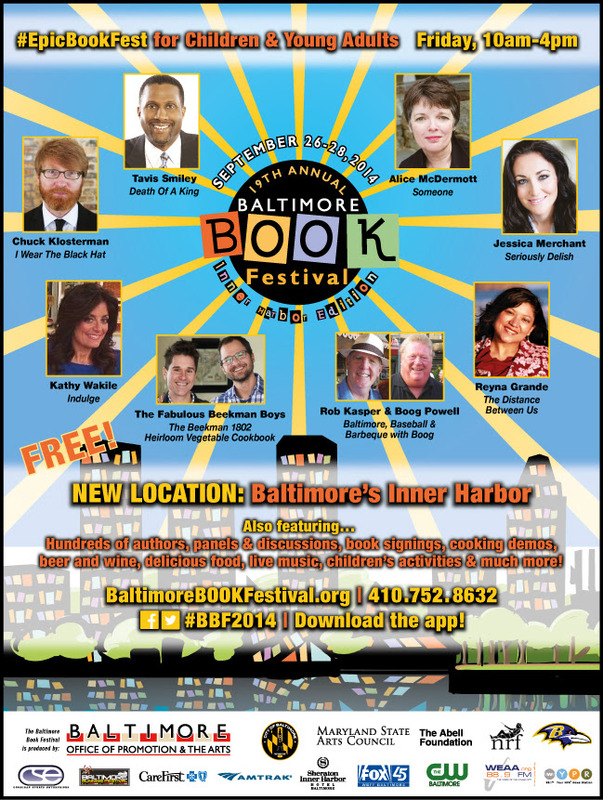 We are excited to be participating in the 2014 Baltimore Book Festival! We will be located in a booth on Rash Field, just off of Key Highway. We have partnered with Soulful Emergence Art Gallery! Along with works of fiction and poetry, there will be hand crafted journals and other surprises!!!!! If you are in the area, please come down. Enjoy the festival and Baltimore’s beautiful Inner Harbor. Make sure you come by and say hi to us!